Make it fun, make it healthy! Love this veggie platter from Amy Locurto at livinglocurto.com. 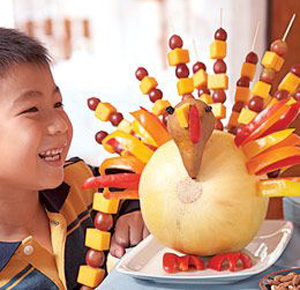 How about a turkey made out of fruit!? This creation comes from cleanandscentsible.blogspot.ca.